A new campaign featuring two rhythm games, maimai and Project Diva Arcade presented by SEGA. 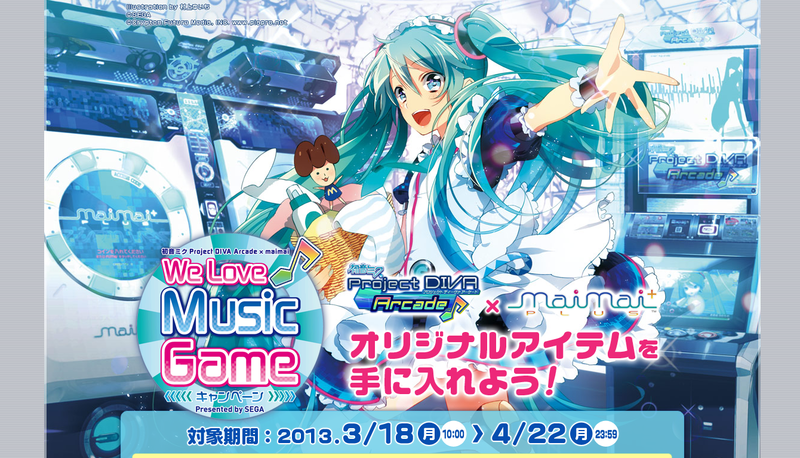 This campaign was organized to promote the releae of Project Diva F on PS3 platform. maimai and Project Diva Arcade players can earn themselves limited items once the campaign starts on the 18th of March till 22nd of April. Players stand a chance to win not only limited edition icons for their maimai/PDf account, but also a chance to win a special ID card casing and the sticker for it too, only for 2000 lucky people. Sad to say that it is only available in Japan due to the fact that there's no Project Diva Arcade in Malaysia, but there's Project Diva Arcade in Singapore! Do check out the website from the above link to get more info about the campaign!